So this whole thing sounds pretty exciting to me – getting back to old-school roots. Could you explain your background and how this whole project came about? So I’ve been working in shooters for quite a few years and worked on some other kinds of games but I originally got into the industry to work on tactical shooters – that’s what I wanted to do. But very quickly, at Red Storm Entertainment, we transitioned Ghost Recon from PC to console and there was, of course, a large push to compete with Halo, Call of Duty and Battlefield from the publishing level. I’ve also worked on Halo: Reach, which was a big opportunity and then spent some time with Warner Brothers and after I left I was actually doing some consulting for some movie companies because of my experience with WB helping them with what games can be for movie licenses and what are all the mistakes that get made with movie games and all that stuff. So I just put up a splash page on my website with the Serellan logo, which I’d intended just to be a consulting company. And I started getting emails from people asking ‘oh are you starting a company?’, ‘are you making a tactical shooter?’ and ‘can I get on your mailing list?’. So I started thinking to myself, maybe this is what I should be doing. This is what I wanted to do 10-12 years ago and now people are hungry for it. Every time you go to any forums or even Kotaku there’s guys on there saying they just want the old school experience. So that’s how I decided to get started with the whole Kickstarter thing. When I started working on that it was brand new right before Double Fine blew it up and then Wasteland came right after us. So at the time when we made our goal, we were second highest. But then of course very quickly, Wasteland and Shadow Run beat us – I think we’re like number 11 now. But that’s okay. We made a lot of mistakes in our Kickstarter campaign, but the community really came together, both the fans and indie developers and mainstream developers, people like Robert Bowling. So it’s been pretty excellent. Starting a new business, running a community and recruiting team members has been a challenge. It was really fortuitous for us that Sony took the regrettable action to close Zipper Interactive – we just hired two of their key developers, a lead gameplay engineer and a lead environment artist that also worked on all Zipper’s games back to SWAT 3. So he brings a lot to the table. So that’s been really fortuitous for us, so it’s not just my background in design, we’ve got people that worked on really challenging shooters like MAG, which is probably one of the most challenging shooters you could work on. Then we’ve got other devs from studios like Day One and Microsoft. We’re in this interesting place where we’re an indie development studio, but even just among our core team, we have 60+ years of development experience. Is Takedown going to have an overarching story? Gameplay is clearly your focus, so how prevalent will the story be? The story is not our focus. I want to be straightforward with people on that. The way we’re designing the game is from a scenario/objective standpoint. So the way we approach is identifying the key spaces that we want to play in, and because of our setting kind of a PMC situation, we can go all around the world. We’re not going to be playing in Afghanistan or “generic-istan” the whole time. We can go all around with lots of different premises. So we develop our spaces with what we want those spaces to be, then we go to develop the missions and objectives that we want to work into those spaces. Then we write the scenario objectives and the rules of engagement. In some missions you can do certain things, some you can’t. If you’re taking down a Somali oil tanker filled with Somali pirates, everybody’s a target. But if you’re taking down a bunch of young environmental wackos that have taken over an Apple plant, the rules of engagement are going to be different. But we have had some contact with some writers. I’ve done a lot of writing for games and we are looking at subplots or storylines to bring things together. But the core gameplay is definitely the focus – the objective-driven scenarios and of course, the multiplayer. So don’t expect a bad guy named ‘Klishnikov’ that smokes cigarettes and has a nuclear virus bomb, who wants to blow up the Olympic games and so you have to track down his sister because you offended him or whatever – one of those games. Yea, I suppose in the real world, though I don’t know much about special forces, I can’t imagine they’re often seeing these types of overarching narratives as the carry out real-world missions. I worked with a lot of SF guys and know a lot of them, and there sometimes can be overarching stories. I know a group that works in the Philippines, advising against Abu Sayyaf guys down there. And there’s a story that goes along with that, but we also really want to have a large variety of environments and allow you to jump around. We don’t just want this to be set in one place. So into more of the detail of the actual game. Going back to Rainbow Six and those games; you had specific characters with names and stats that you could pick from. Is that something that Takedown is looking to involve? Yea, that’s the plan. Similar to Rainbow Six and also some of the MechWarrior games, MechWarrior 4: Mercenaries and MechCommander, where you have a pool of characters you can choose from. Whether you can recruit them or hire them and pay for them – that’s still up in the air. But definitely, the goal is a pool of guys and girls of different nationalities. Obviously, our nationalities are going to be focused on our fanbase. So we’ll be identifying who our fans are from the various countries so we can provide the Germans, the Japanese, the Canadians etc and the core people who want to play our game. You’ll have this group of soldiers with different skill-sets, but the key is that when they’re gone, they’re gone. If you lose a character, he’s out of the campaign. We may choose to have it so you can restart the mission, you know ‘oh I lost Smith and he was my awesome sniper’ – we’ll probably have some kind of skill progression for the various characters, as they make it through the missions they’ll get a little bit better. That’s our progression system, unlike a mainstream shooter where it’s all about just running through a mission and if your other AI’s die it’s either scripted that they die or they come back because the art assets, like in Ghost Recon 2, mean that you can only have eight characters, so two missions later they’re like ‘I’m back!’. We want to provide that more realistic experience where keeping your people alive is important, if not more important than some objectives in the missions. You’re not gonna blatantly just let your guys die so you can get that extra achievement point or something like that. Nice. So if they do die, is they’re going to be a large list of potential recruits? Yea – we’ll work out the numbers. We’ve got some scoping methods in place to reduce the art load on that so we can create dossiers and re-use body models. And we’ll have a system so that if you play super bad, eventually you’ll probably end up with ‘generic guy’ one through eight. Once you get everybody killed in every mission – it’s not going to get to the point where there’s nobody left and it’s just you and you’re trying to beat the hardest mission in the game alone. But we also want to reward people that pay attention, keep their guys alive and keep them unwounded. Because even if they get wounded, they’re not necessarily going to be available for the very next mission or their capability might be decreased. Obviously, it’s not an RPG, but will there be any rewards for keeping guys around you a long time? Yea, we’re looking at those various systems – one of the big discussions in the community was about a monetary system similar to MechWarrior 4: Mercenaries where you earn money for the various missions then use that to recruit or maintain different guys. But we don’t want it to turn into an unlocking system, where it’s like you start the game and you have an AK-47 and a t-shirt and jeans and by the end, you’ve got a silenced MP7 or whatever. And we especially don’t want that in multiplayer. 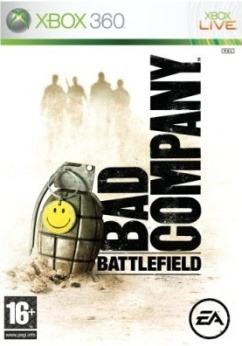 So we want to find a balance; we want to have a reward system that rewards players for playing the game tactically – we’re not going to have a bunch of achievements like getting 100 headshots in a row because, especially in co-op or multiplayer, that encourages play that detracts from other people’s experience. So when you’re like ‘help me, I need suppressive fire’ and he’s like ‘no way that will kill my hit ratio!’ – we don’t want that. So we’ve got to be very careful about the stats, achievements and rewards systems that we have so that it doesn’t detract from the core gameplay. And the approach to that is that you design the gameplay, the objectives and the scenarios and get that in, then you take a step back and say what kind of rewards and stats are there that people can use and show off to their friends, that supports the gameplay. So in terms of the weaponry, obviously there’s a huge focus on realism, but do you have to compromise that at all to put in weapons that you want to get in there? No actually. The way we approach weapon design is that it starts from realism. We have a huge amount of data and statistics on weapons – even back in the mod days we had huge spreadsheets – handling, muzzle velocity, different rounds and how they affect the different weapons. Then we get our baseline weapons, like an M4 and MP5, to the point where they feel good and like they should, where they fire realistically and the damage systems work and then we spread out from there. So then we say if that’s how an M4 works, how’s a short barrel going to work? How’s the heavy barrel going to work? etcetera. But one thing is, we do plan to allow the community to have an influence on the type of weapons that are going to be in the game within a range of weapons. It won’t just be everybody listing a weapon and whichever one gets the most votes is in – the weapons depend on the systems and how they interact with the various weapons. You need the systems to support the realism. So you can’t just say every time you get shot you get kickback because it throws your reticule, because then if you implement, say a .22 rifle, and the guy is in heavy body armour and you take that rifle and put a 100 rounds in him, he’s just flying all over the place and he can’t do anything. That’s a case where the systems need to be adjusted, and there are other things to look at – some game implement prototype weapons, where the manufacturers will promise it will be like this and claim it’s feasible – we’re only focusing on production weapons that we can get hands-on time with or get people that have had hands-on time with to really bring out the realism. So we’re not going to be doing experimental caseless rounds that obliterate everything else or anything like that. But there are going to be weapons in the game that will be great for some situations and not for others. What we’re not trying to do is say like ‘well we need to make sure, at a 100 yards, to get the guy with the MP5 PDW a chance against the .308 M14’. The dude with the M14 is going to blast the MP5 dude almost every time. Conversely, if you’re lugging an M14 through a very tight, confined space and you come up against a dude with an MP5 , he’s going to be able to put rounds in your head a lot faster and easier. Although I unfortunately can’t run Rainbow Six on my computer anymore, I recall you had quite a lot of options for how you could approach a level. And often, an option could go kind of wrong, because you’re just experimenting – which actually made it fun. Is that going to be part of your approach? That is going to be exactly our approach! I had this philosophy that linearity + difficulty = frustration, and non-linearity + difficulty = challenge. What that means is that when you come round a corner and you get wasted by a dude, if you have to then go around that corner over and over again with the same dude in the same place and you keep getting killed, then the game has failed. If you then take a different route, come out round behind the guy and kill him then you’re now super awesome because you learnt from the situation. So we are planning non-linear spaces with multiple insertions, so you can come from multiple ways and again, that comes back to designing the space first. So if we were gonna design a convention center to bring down, we would get the actual specs of this convention center and build out, keeping gameplay specs in mind. If there’s a bunch of super tight corridors that two AI can’t fit through and a bunch of dead ends we’ll alter that. But then build the scenarios on top of that and think about it from the bad guys’ point of view. How would they setup to defend this? Where would we enter? Then we have multiple layers where there’s multiple different insertions and multiple different routes for the AI so that it’s different each time. You can learn the space and learn where the kill points are, and there will be some similarities, but you’re going to have to be careful and it’s going to be relatively unforgiving. This is going to be the kind of game, where when you beat the mission, you’re going to really feel like you beat it. 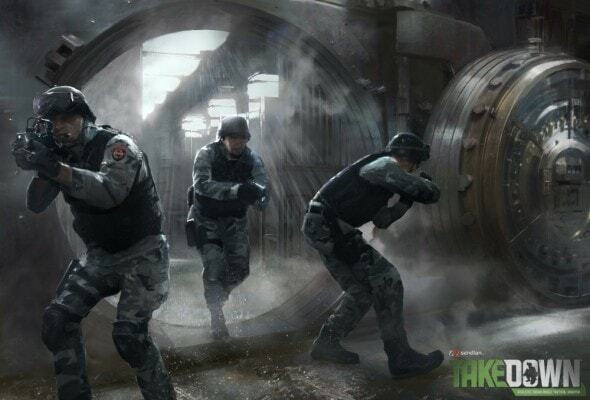 There’s that sweet point, I remember in Rainbow Six: Rogue Spear – there was the point where me and a buddy were playing and we’d played the mission tonnes and tonnes of times and I got a phone call and while I was talking on the phone, me and him just took that whole mission down. And this is the same guy when we first started playing Rainbow Six, that raised his M16 up in the air and said ‘Now we announce our presence’ and let off a burst of fire – and we’re all dead in like 15 seconds! So that’s our philosophy behind the game design – you build the scenarios, you build the systems and you trust the player to learn and be able to conquer it and use their common sense. Of course, we can put in accessibility elements, we can put in easy modes that have help points in for players with accessibility problems like colour blindness or disabilities or things like that. We still want people to be able to get into the game very quickly and not have to spend a lot of time in menus. So we’re taking modern UI development, getting people into the game they want to play and not screwing around with drivers and menus and all that stuff. But our core philosophy is that the game systems are there for you to conquer and figure out – not for us to hand-hold so you end up beating the whole game in six hours. Good to hear! So, how’s the multiplayer going to work out, what have you got planned for that side of things? Right now we’re kind of deciding on the number of players – we’re looking at between 12 and 16. That will kind of be defined by our spaces. We haven’t announced our engined yet, but we hope to finalise in the next few days and make an announcement about that – but the engine will support 16 easy. It’s not a matter of technical stuff, it’s a matter of the number of people that make sense in a space. We’re also going to be meeting with MLG (Major League Gaming) to talk to them about feedback from competitive gamers and see what they think. 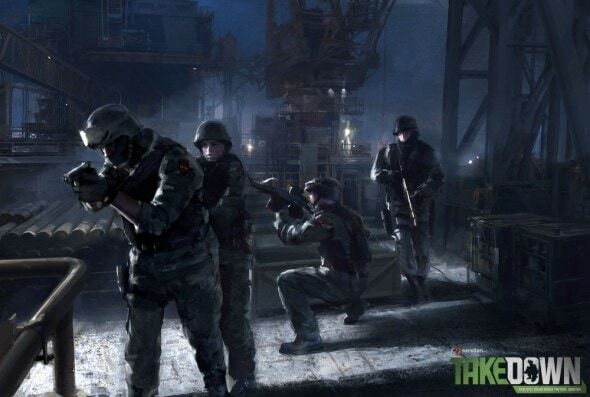 We do plan to support standard team vs. team, solo modes, no respawn modes, and then we have a heavy focus on objective-based gameplay – disarming bombs, attack/defense scenarios, hostage rescues and things like that. So there’ll be civilian NPCs and all that. Well, that all sounds fantastic. I guess the only question left to ask would be when’s it set to come out? We’re looking at 2013 – we’re trying to shoot close to mid 2013 for the PC version then we’re following the Torchlight model for looking at console versions after that. But we need to focus on getting the PC version locked-down first. So that’s our plans and we’re rolling forward on that. It can’t come too soon! Thanks a lot and the best of luck to you!